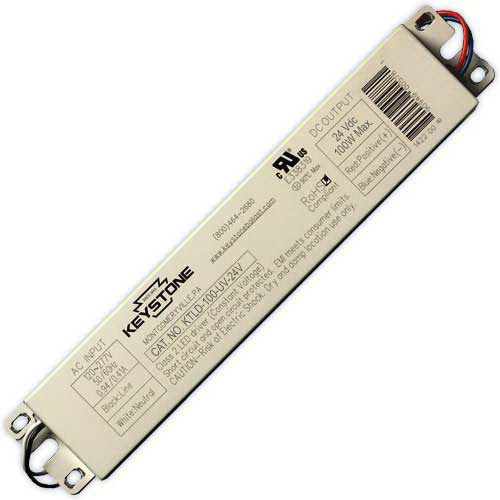 Keystone Constant voltage LED driver is a long lasting and low maintenance, LED-based light source used for all lighting applications. It operates at a voltage rating of 120 to 277-Volts AC and delivers 24-Volt DC output voltage. The driver provides short circuit and over current protection for LED lighting systems. It is perfect for dry and damp locations. LED driver meets UL 8750, FCC 47 CFR Part 15 Class B, RoHS and cURus standards.